This Champaign park is .047 acres. It was purchased in 1979. In recent years Helms Park, as well as the adjacent Lo Park, have undergone some beautification efforts. In 1984 the historic Stone Arch Bridge was added through recreation easement by James O'Malley (1). 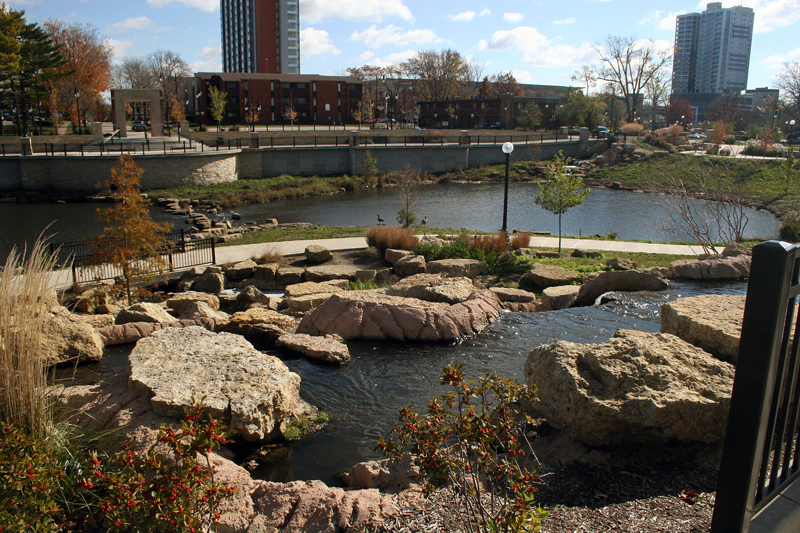 Beginning in 2011 and finishing in 2012 Helms park was given a stone fountain including several waterfalls, a picnic area, and several benches. There is also a waterfall wall between Lo and Helms park. 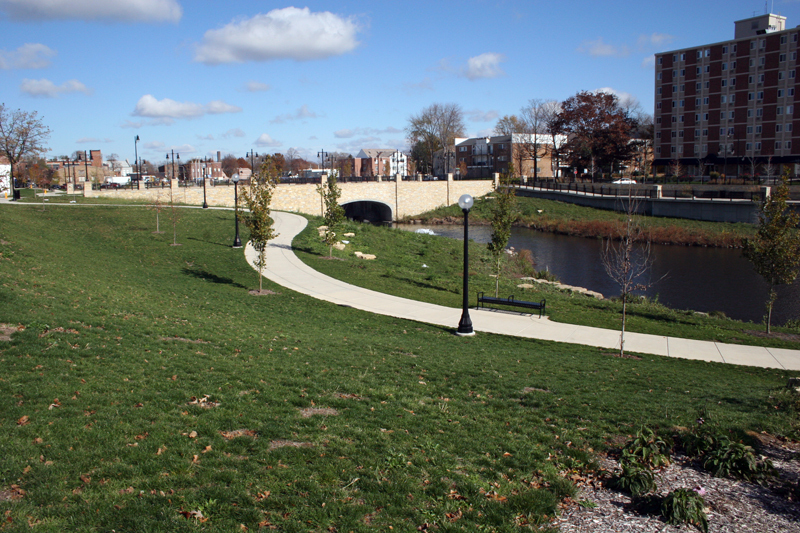 Helms park has an outdoor theater area and a walking path that stretches around both Helms and Lo Parks. The Stone Arch Bridge, which spans Second Street Basin between Helms and Lo Park, was placed on the National Registry of Historic Places in 1981 (3). Completed around 1860, the now seven and a half foot wide bridge was originally eighteen feet wide. It is constructed of hand cut random stripped Silurian dolomite (3). 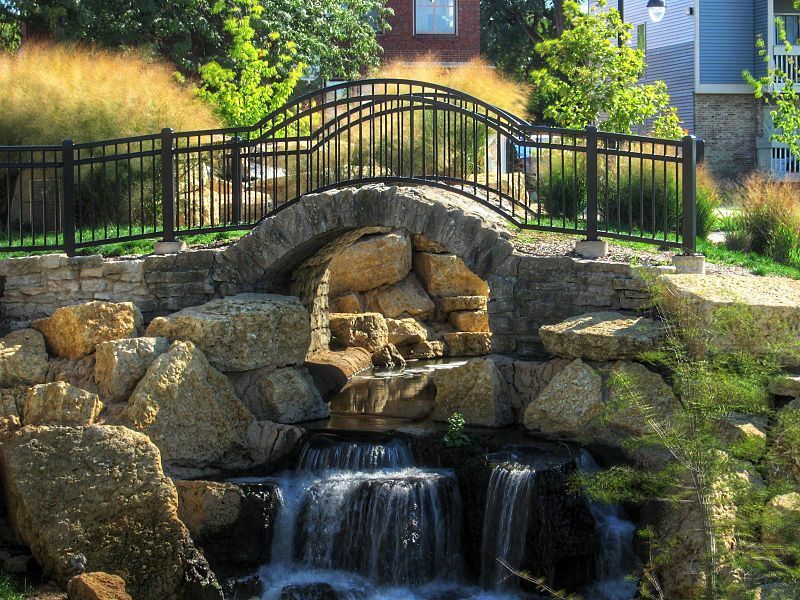 The Stone Arch Bridge originally gave farms in Urbana a rail connection to trains in West Urbana, now known as Champaign, to ship their produce. Judge Cunningham wrote in 1863 that "this railroad...was worth more than it cost to Urbana; and was, without doubt, the means of staying and finally defeating the agitation for the removal of the county seat" (3). The bridge segment of the railroad was abandoned and rerouted in 1890, and thus it is likely that this is the only bridge to have spanned Boneyard Creek at this location. 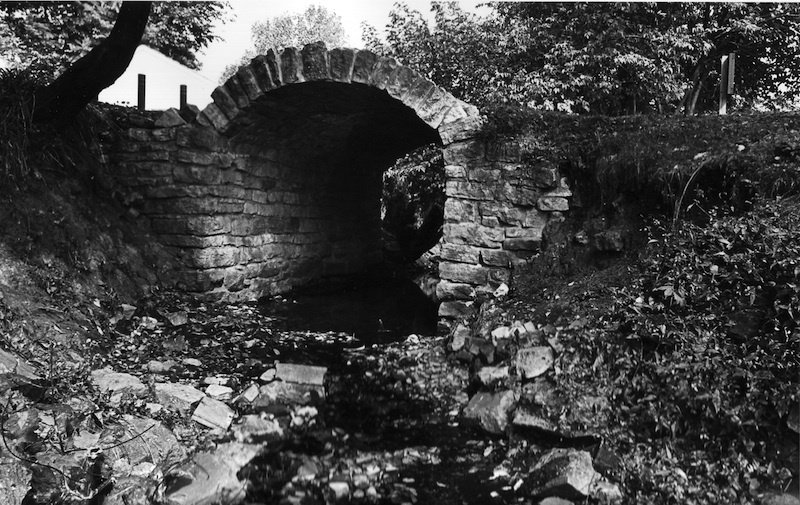 The Stone Arch Bridge is suspected to be unique in Champaign County, and is one of the oldest remaining structures in the area (3). 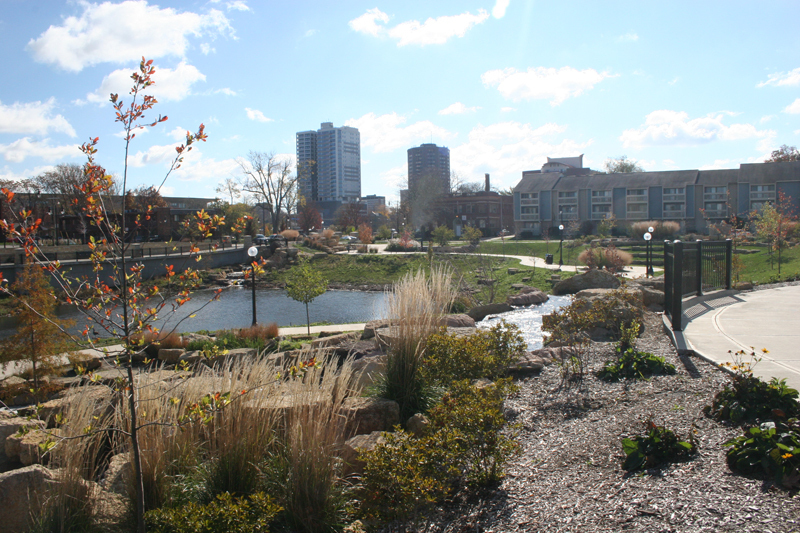 Second Street Detention Basin, which stretches across both Helms and Lo Park and is part of the Boneyard Creek watershed, is home to plenty of diverse wildlife including turtles, fish, geese, ducks, and herons (4). Stone Arch Bridge in 2012: Image courtesy Daniel S. Johnson under Creative Commons Attribution-ShareAlike 3.0 Unported license . “Helms Park,” ExploreCU, accessed April 21, 2019, https://explorecu.org/items/show/115.